Yahoo! Japan has released a fun new app for the iPhone and iPad called Face Stealer. It allows you to superimpose the face of someone else over the image of your face. Then it maps your facial expressions and head movements. Aside from other people’s faces, you can use anime characters or animal faces. Even the face of George Washington from the dollar bill. You can capture images of your new face and share them on Facebook and Twitter, or post a video to YouTube too. The app is a stand-alone feature at the moment, but it looks like Yahoo! 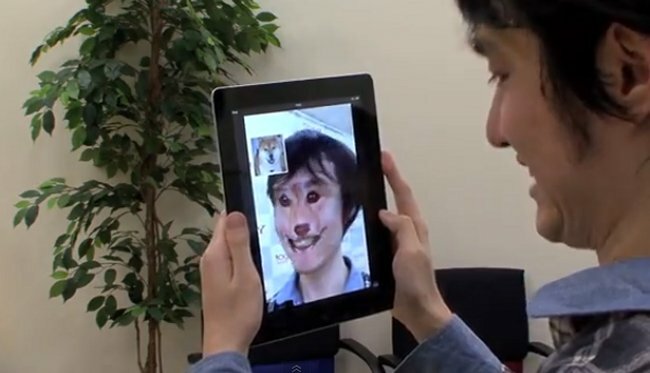 Japan will integrate Face Stealer into a video chat application, which makes sense. Face Stealer comes with some default faces to get you started: Albert Einstein, dog faces and others. It looks pretty fun, but kinda creepy.